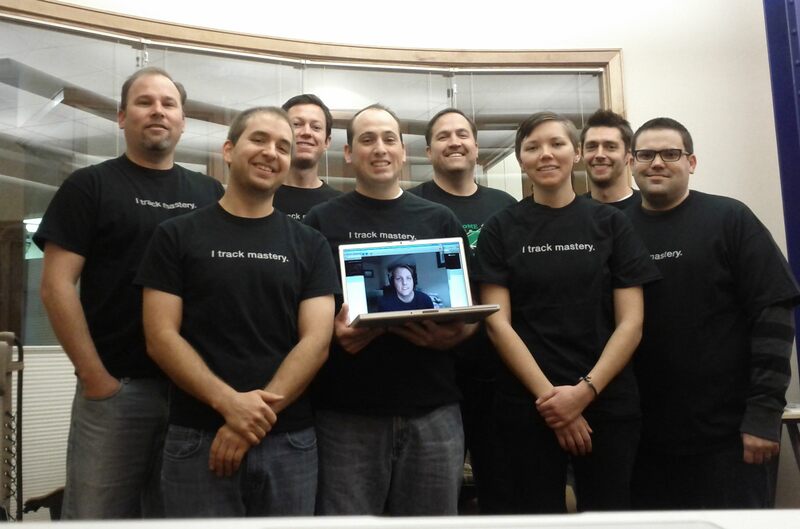 It’s been an amazing year here at MasteryConnect, so I thought I would take just a moment to reflect back on where MasteryConnect has been, and talk a little bit about our plans for 2013. As the CEO of an Edtech startup, it is an incredibly rewarding experience to be part of a team that took an idea from a teacher’s brain and built a technology solution that has a far reaching impact on students, educators, and parents across the country. As the year draws to a close, we are humbled and grateful to our customers and the raving fans and supporters of MasteryConnect. We started 2012 off with a bang after receiving financial support and backing from some amazing organizations in Edtech such as NewSchools Venture Fund, Learn Capital, and ImagineK12. Their support jump-started our mission to help teachers across America share formative assessments and track mastery of state and Common Core standards. 2012 saw an incredible amount of feature development including tools such as curriculum maps, benchmark assessment features, and simple SIS integrations and API’s. We’re excited to be working with some amazing new partners such as Solution Tree, Edmodo, and Clever. 2013 looks like another incredible year. We’ll be announcing more financial supporters in early January, a new book in the early spring, and some Common Core features that we’re sure will knock your socks off! 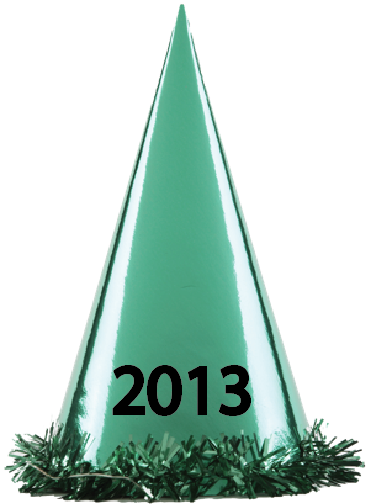 Cheers to an amazing 2012 and wishing you a happy new year! As the snow keeps falling in the beautiful rocky mountains of Utah and the temperatures continue to plummet, the MasteryConnect team wanted to quickly take a break from creating new features and talking about tracking mastery to wish you a happy holiday season! We can’t wait to spend a little bit of time celebrating with our families and friends. But what we really want for the holidays is to continue having more and more teachers and schools join MasteryConnect and become part of the Mastery Movement! Don’t forget to download the Common Core app on your new mobile device you find under the tree! We know how dedicated teachers are, so if you end up working over the holidays and have a question, we are happy to assist you. Our support team will be available as usual, except on Monday December 24 and Tuesday December 25. The “voice” of MasteryConnect videos and an awesome business development manager, Christie Jennings, sadly missing from our team photo 🙁 Todd Resudek joined us from Skype to be in the picture! We’ll be growing by leaps and bounds in 2013, if you’re interested in joining our team, please check out our jobs page. Curriculum Maps – Official Launch! We’re excited to mark the official release of our curriculum maps feature! Curriculum maps are part of our premium set of features and allow teachers to plan standards, assessments, and resources, and create trackers from a map with everything pre-built and ready for mastery tracking. Standards from various standard sets can be mixed and matched and custom standards can also be added to the map. In addition, teachers and administrators can share curriculum maps, making it easy for an entire team or grade level to plan and work from the same set of standards, sub-standards, resources, and assessments. We’ll be hosting an hour-long webinar to introduce this great, new feature on Wednesday, December 19th, 2012 at 6pm MDT. Click Here to Register for the webinar! It has been awhile since we have posted a blog with the intent of defining who we are or what we believe. In this weeks post, we decided to address one of the fundamentals of what we do: assessment. Why do we assess our students? This seemingly rhetorical question is anything but rhetorical. We assess our students to make sure they understand the concept(s) we just taught. We assess our students because we have to enter a grade in the grade book. We assess our students because there is a test at the end of every chapter. We assess because that is a part of what we do – we teach and then we assess. Regardless of the reason, unfortunately, all assessment is summative. Most of you are probably inclined to argue with that last statement, and you would be right to do so. You most likely want to point out that formative assessment, assessment for learning, is quite different from summative assessment. With formative assessment, the purpose or intent of assessment is to identify which students have or have not mastered the concepts or skills you are assessing and then provide appropriate support to all of your students. You could also argue that formative assessment is a process that allows you, the teacher, to evaluate the effectiveness of your instruction by analyzing the data you receive from the assessment you just gave. Additionally, it would be just as easy to argue that all assessment is formative if teachers choose to use the data collected to improve their instruction and provide interventions for students. This brings up an important element of assessment. The intent or purpose of an assessment does not define whether an assessment is summative or formative; it is the “action” taken by the teacher following an assessment that ultimately provides the distinction. Following an assessment, if your action is to record the student’s score in the grade book and begin planning for the next concept, chapter or unit – your assessment was summative. If, after giving an assessment, your next action is to remind those students who did poorly on the exam that they should have studied harder – your assessment was summative. If the assessment you are giving was created by the district and labeled an interim formative benchmark assessment and the next action taken was to house the data in the district data warehouse and your action is to begin preparing for the next interim formative benchmark – your assessment, despite its name, was summative. Following an assessment, if your action is to evaluate student results and implement intervention strategies for struggling as well as advanced students – your assessment was formative. If students in your class already know the assessment they are taking is being used to inform both you and them of their current level of understanding and retakes are expected – your assessment was formative. If, following the delivery of a district created interim formative benchmark assessment, you analyze the results and evaluate the effectiveness of your instruction – your assessment was formative. If you see teacher questioning and observation as a means for providing immediate interventions – you are formatively assessing your students. One could argue that all assessment is summative or all assessment is formative or you can choose to take the middle ground and say it depends. We believe that all assessment should be formative with the exception of high stakes tests, which we believe should be eliminated. The ultimate goal of any assessment should be to inform instruction and provide opportunities for immediate interventions and these things only occur when an assessment is being used formatively. It is worth noting that there is an additional element of formative assessment that we believe is the most powerful means of improving teacher performance – Common Formative Assessment. When a teacher assesses his/her students, they are basing outcomes on a single measure: student results. When teachers agree to collaborate and share the results of a common assessment with one another, teachers can evaluate the performance of the students in multiple classes as well as evaluate their own performance relative to one another. This creates opportunities for teachers to maximize the effectiveness of the formative assessment process. Whether you are working independently or collaboratively, you can call your assessments whatever you want, but immediate and targeted action is required if they are going to truly be formative; otherwise all assessment is summative.